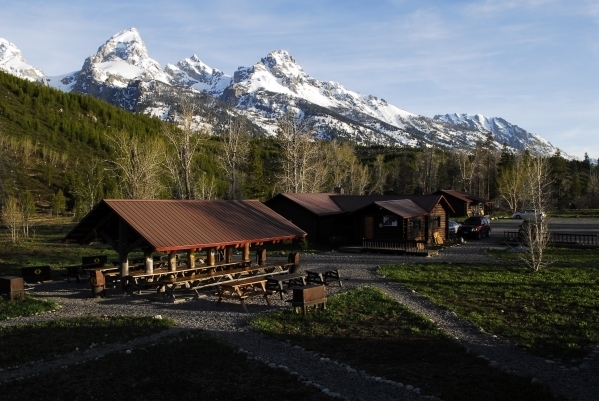 The AAC Climbers' Ranch in the Grand Tetons requires an extra level of support and involvement over the course of the next 18 months to help ensure its future. The lease that grants the Ranch rights to the land it is situated on is up for renewal at the end of 2012. The Ranch is in a good position to have the lease renewed again, but as with all good stewards of the land and their surrounding communities, they are looking to bolster their case with extra maintenance and improvements to be completed before the lease is up for renewal. Such efforts are a strong indication to the National Parks Service that entities like the Ranch are an important part of the overall experience they strive to create. Best of all, the Ranch is part of a matching grants program of the Community Foundation of Jackson Hole who will match every $100 dollar donation with a 150% donation ($150) from the Foundation. That's huge. Your money is more than doubled! Here's a LINK for making a donation or for finding more information.